Note: The game is brand new in shrink wrap but sustained minor box damage in transit from MMP to us. The contents are mint and undamaged. This is a perfect way to save a few dollars for those of you that don’t mind a crease or dented corner. 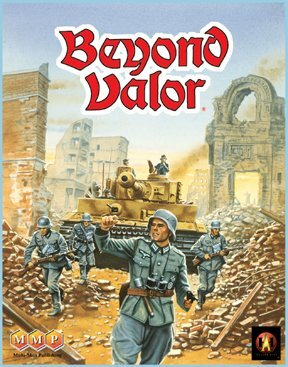 In 1990 Avalon Hill released the first Historical ASL (HASL) module, RED BARRICADES. Charlie Kibler’s groundbreaking design covered the battle for Stalingrad around the “Krasny Barrikady” (or RED BARRICADES) ordnance factory on two historically accurate maps. 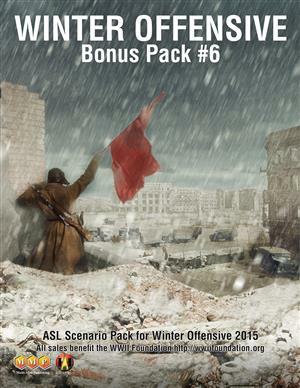 RED BARRICADES offered a new ASL experience, introducing the concept of Campaign Games (CGs), multi-scenario battles spread over several days, alongside traditional scenarios depicting discrete historical actions. 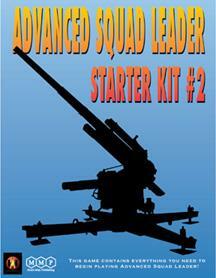 Three CGs and seven standalone scenarios covered the epic struggle for the heart of Stalin’s city. The CGs presented a special challenge, as players not only directed their forces in action, but also built and customized their orders of battle, agonizing over how best to spend their precious resources to achieve overall victory in a grueling campaign. Charlie now brings us RED OCTOBER. This follow-on HASL adds two new maps, expanding the playing area covered in RED BARRICADES to include the “Krasny Oktyabr” (or RED OCTOBER) factory complex. 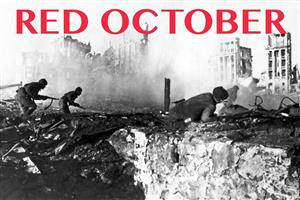 RED OCTOBER features three CGs and seven scenarios. Honed under the playtest guidance of Gary Fortenberry, RED OCTOBER has now been submitted to MMP. The two modules are combined into one package: RED FACTORIES. The source files for RED BARRICADES are no longer available, so Charlie will take this opportunity to paint all four maps in a consistent style to assure they match (see NOTE below). This also allows us to update the original RED BARRICADES material, taking into account accumulated clarifications and errata. Over the years a great deal of follow-on material has been released for RED BARRICADES, including a fourth campaign game. We are consolidating this material to create an expanded version of RED BARRICADES as part of the new release. 21 scenarios (14 for RED BARRICADES and 7 for RED OCTOBER). RED BARRICADES CG II “Operation Hubertus” and RED OCTOBER CG II “Oktyabr’s Hubertus” (which cover the same dates) may be combined to form one giant CG. The RED BARRICADES scenario “The Last Bid” and the RED OCTOBER scenario “Men of Steel” may be combined to form one giant scenario. NOTE:  All the design work is complete on RED OCTOBER. Charlie Kibler’s initial brilliant design for RO has been developed and playtested by Gary Fortenberry, and all that remains is layout and proofing (granted, no mean task) and re-painting the maps. We no longer have the source files for RB and cannot easily use Charlie’s hand-painted RO map, so Charlie needs to re-paint both maps on the computer. This will allow us to print then both and to include a complete, updated RED BARRICADES along with RED OCTOBER in one combined RED FACTORIES module. Because of the time and cost involved in re-painting the maps, however, we need to put this product on preorder before it is ready, and we need it to hit its P# before we ask Charlie to re-paint the maps. Charlie is a busy artist, and we can’t be sure how long it will take him to re-paint the maps, but we will be sure to be ready on our end with rules, scenarios, and counters laid out in order to print RED FACTORIES as soon as the maps are ready. So if you want RED FACTORIES, do not wait to preorder. The sooner this hits its P#, the sooner Charlie starts to re-paint the two maps, and the sooner we all have this great HASL in our hands.